I don’t know what it is about the Easter season that has my sweet tooth raging for more and more every second, but I have no shame in saying that I am embracing every sweet craving I continuously have! Chocolate, jelly beans, truffles…mmm, the options are endless (all thanks to my Easter package of treats from Mama and Papa Doser!) 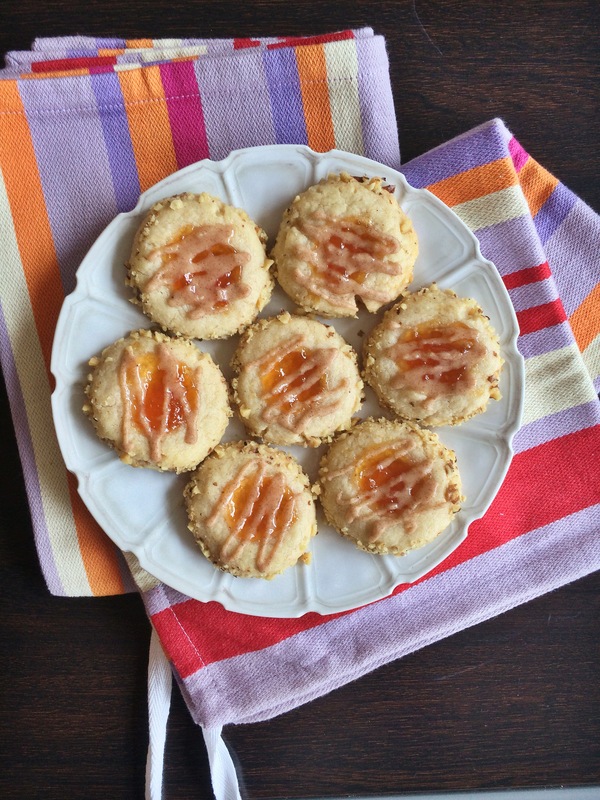 But, if you would like to satisfy your sweet tooth with a small bite of coconut butter deliciousness then try these simple yet delightful Apricot Maple Shortbread Thumbprints. I cannot get enough of Sweet Spreads coconutter so if you have not tried it…I am telling you right now that you must. No excuses. Bex is coo-coo for coconutter. In a medium bowl mix together butter, milk, flour, sugar and coconutter until doughy. Mound into a ball and refrigerate for at least 1 hour. When ready to prepare cookies, preheat the oven to 350 degrees F. Meanwhile, chop walnuts very finely and put in a small cereal bowl. Remove the dough from fridge and roll into one-inch balls. Flatten each, and roll the edges in the finely chopped walnuts to coat each cookie. Place each on a greased cookie sheet and make a small indentation in each with your thumb. Spoon about 1/4 tsp. of apricot preserve or any desired jam/marmalade into the indentation. Bake for 15-18 minutes and let stand for 10-15 minutes. Spoon a few teaspoons of coconutter into a Ziploc bag. Cut a small slit in the corner and frost the tops of the cookies with coconutter to add even more maple deliciousness to each bite. Bon appétit! Previous Post Hoppy Easter, everyone! Next Post Now I’m (all) “Fo(u)r-Fudge-Seconds”…. 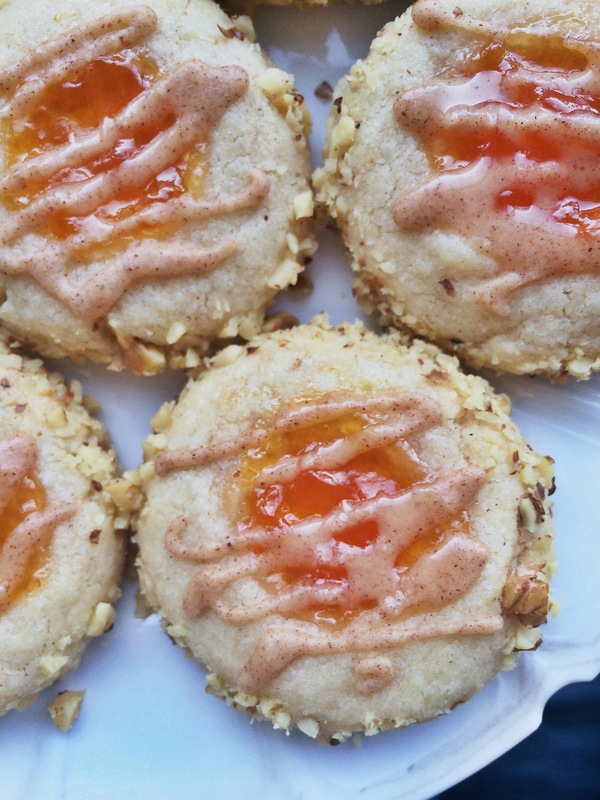 The aftertaste of coconut butter and apricots must be just amazing. I don’t judge you Rebecca! I’m a bit jealous though. Oh my gosh, you have no idea. So great! You should try, Ben!